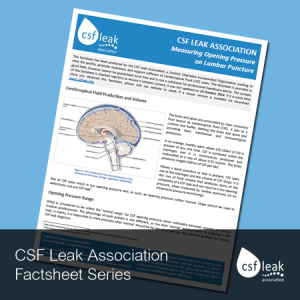 We’re pleased to announce that with the kind permission of the CSFleak.org Forum, we are able to publish a recent Questions and Answers session with leading CSF leak expert, Dr Wouter Schievink. The questions were posted by members of the CSFleak.org forum during January 2014 and answers were provided on 4 April 2014. We are deeply grateful to the administrators of the forum for arranging and managing the Q&A session and for making the information available. 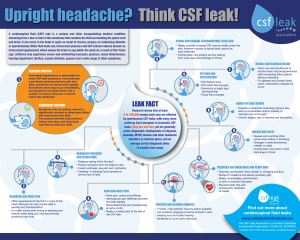 Dr Schievink is one of the world’s foremost experts on CSF leaks and Spontaneous Hypertension. Originally from The Netherlands, but now practicing Cedars-Sinai Hospital in California, he has conducted a number of studies into the diagnosis and treatment of CSF leaks and many specialists in the UK base their approach on his work. 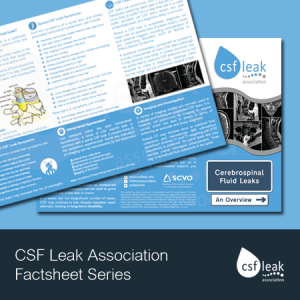 This valuable information sheds light onto many of the questions and issues faced by leakers across the UK and Ireland. 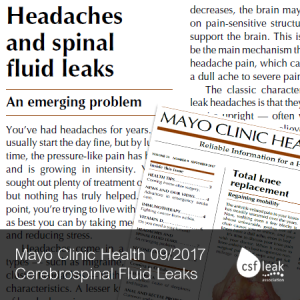 Dr Schievink’s advice will also be of relevance to GPs and other medical professionals dealing with patients presenting with persistent daily headaches and other symptoms of intracranial hypotension. You can view the Q&As online by clicking here or download them by clicking here.